Soft cloth eye mask filled with silica. Adjustable strap for compression if desired. Beads hold heat for up to 45 minutes. It is recommended to not use this mask for more than 20 minutes at one time. Can be used with Oasis TEARS and Oasis LID & LASH products for combined relief. 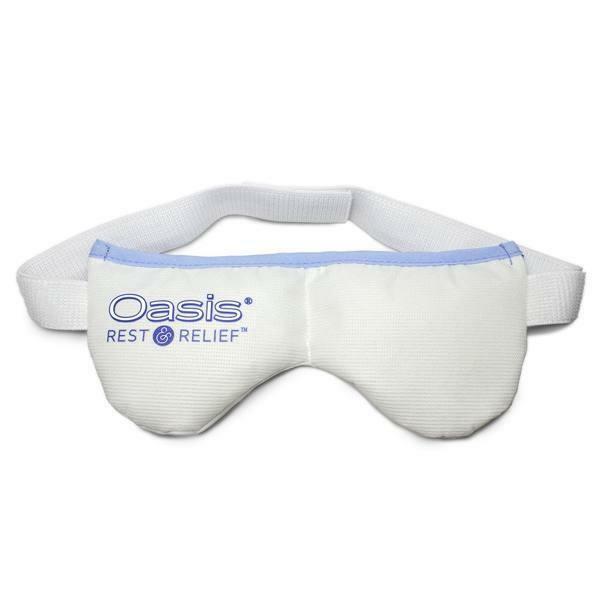 Product information for patients regarding the Oasis REST & RELIEF Eye Mask.